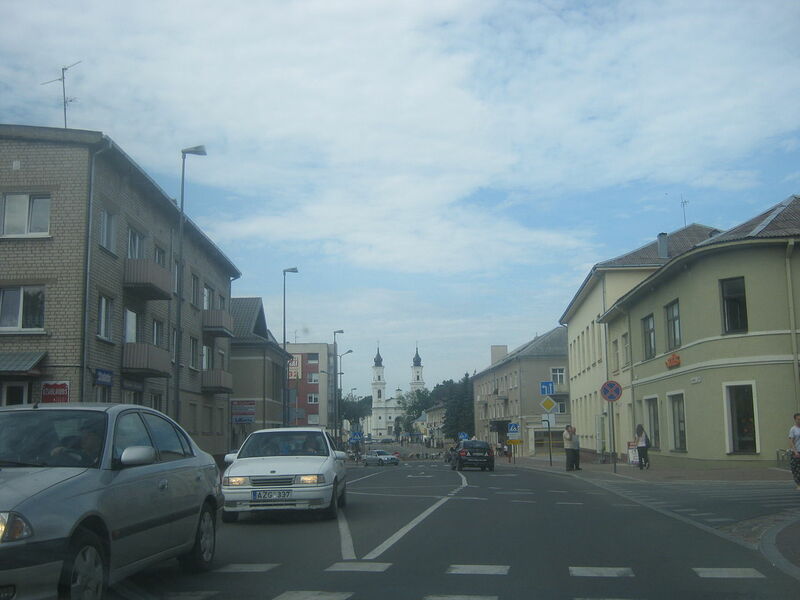 Marijampolė is an industrial city and the capital of the Suvalkija region of Lithuania. 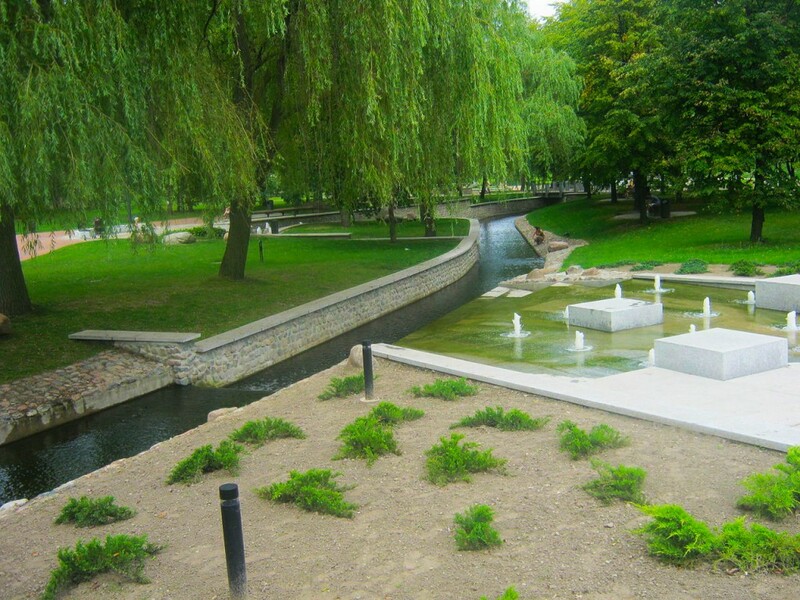 The Šešupė River divides the city into two parts which are connected by six bridges. The settlement was originally founded as a village called “Pašešupė” (in Polish: Poszeszupie), after the nearby river of Šešupė. As such, the town was first mentioned in 1667. In the 18th century the village, at that time belonging to the Catholic Church, grew to become a market town and its name was changed to Starpol or “Staropole”. A fire destroyed the settlement in 1765. 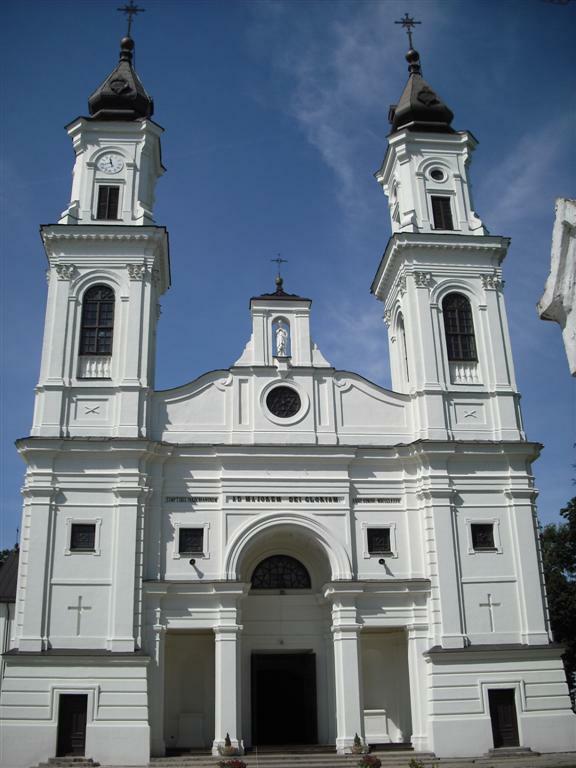 After the disaster the wife of contemporary praepostor of Prienai, Franciszka Szczukowa née Butler, financed a new church and a monastery for the Congregation of Marian Fathers. Following the foundation of the monastery, a new town was built in the area. It was named “Maryampol”, after the Blessed Virgin Mary, with the suffix -pol denoting a town. On February 23, 1792 King Stanislaus Augustus of Poland granted the “townlet of Mariampol” with Magdeburg Law and a privilege of market organization. Following the Partitions of Poland the town was briefly part of Prussia and then part of Russian Empire. In the 19th century, the town continued to grow, mostly thanks to a large number of Jewish and German settlers. In 1817 the town became the seat of a separate powiat and by the 1861 the inhabitant number had grown to 3718, 3015 of them being Jewish. Following the 1863-1864 uprising and the Russian suppression of the former Poland-Lithuania Commonwealth lands, the powiat of Maryampol was seriously diminished. Around that time also the monastery gained prominence as it was the only monastery owned by the Marians that was not closed down by the tsarist authorities. 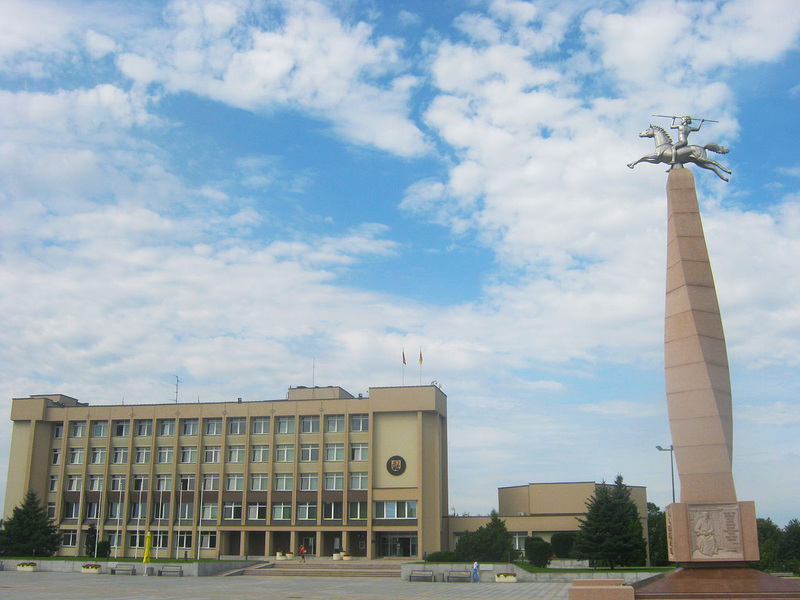 As the surroundings of the town were primarily inhabited by Lithuanians, the town became the center of the Lithuanian national revival. The proximity of the Prussian border made the smuggling of books in Lithuanian language, banned in Imperial Russia, easier. Among the most notable Lithuanian scholars and writers active in Mariampol at that time were Kazys Grinius, Jonas Jablonskis, Vincas Kudirka and Antanas Venclova. 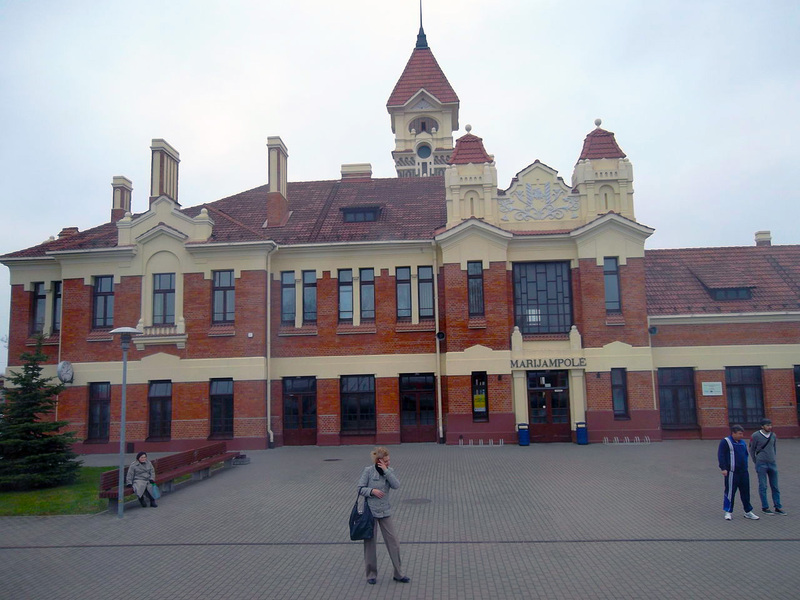 Following World War I the town became part of Lithuania and was renamed to its current name. During World War II the town was occupied by Germany. On 1 September 1941, somewhere between 5,000 and 8,000 Jews from Marijampolė and backgrounds were murdered. Their bodies were placed in mass graves near the Sesupe River. In the effect of the war, the town was heavily damaged and almost emptied. After the war, it was rebuilt and repopulated with immigrants from other parts of Lithuania. On April 9, 1955 the authorities of the Lithuanian SSR once again renamed the town, this time to “Kapsukas”, after death of a Lithuanian communist politician Vincas Mickevičius-Kapsukas death. The native name Marijampolė was restored after Lithuania regained her independence.